If you would like to delete your group messages on WhatsApp, you will find some detailed information on this post for iPhone and iPad devices. There are all steps with pictures in the paragraph below. If you have any question about WhatsApp, you can ask us via commenting. You can scroll (or swipe) down to see comment section. You can also use our other services for questions. You will need to do following steps to delete bulk messages on WhatsApp on iOS devices. 2-) Enter the group chat that you want to delete all messages. 3-) Tap on Group name as we have shown at the picture below. If you are confused with something on the picture, please don’t hesitate to ask us. 4-) Now you will enter group info page. 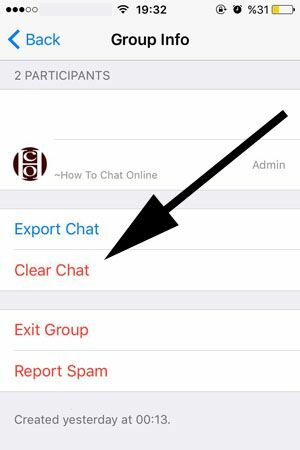 You will need to swipe down on the page and find the text which is written “Clear Chat”. Tap on that text. 5-) Now select the message types you want to delete. There will be two selections for you. “Delete all except starred” messages or “Delete all messages“. Starred messages are generally important messages that you will want to remember. So we recommend you to double check before deleting all messages from your phone. 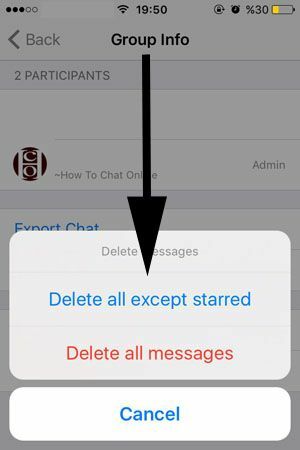 With the step we will show you below, you will able to delete a single (or a few messages) on WhatsApp Messenger iOS. If you would like to delete all messages, we recommend you to check the steps above. 1-) Run WhatsApp on your iPhone device first. 2-) Open the group chat that you would like to delete the message. 3-) Tap and hold on the message that you want to delete, until a black menu appears on the screen. After the black menu appear, tap on the black arrow. Please also see the picture below. 4-) You will see the “Delete” button at the next menu. Tap on “Delete” to remove the message. That is all you have to do delete a single message from a group chat. 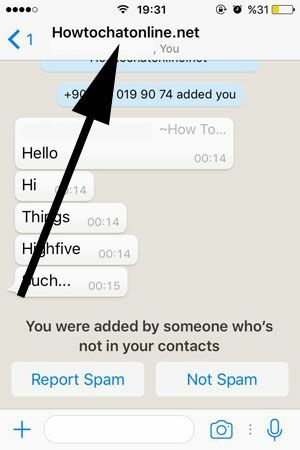 You can also delete messages like that on other chat types on WhatsApp Messenger iOS.